Mars Transiting to Gemini on 5 July 2013 - Effects on You! 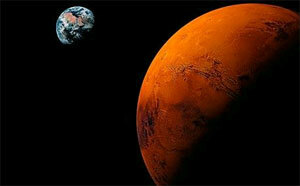 Mars will transit on 5th of July 2013 at 01:11 am to Gemini. Astrologers say that owing to the transit of Mars to Gemini, there will be a huge impact on the environmental conditions. Therefore, we will experience heavy rainfall this month. The transit will be excellent for people engaged in the agricultural industry as well. Those who cultivate crops like red chilli, mustard, linseed and sugarcane will greatly benefit. This is a blooming time goldsmiths and merchants who deal with copper. Since cash crop like cotton will grow in abundance, people engaged in cotton industry will also gain from Mars’ transit. You will be very courageous during this period. You will go on a journey and it will be fruitful for you. Get ready to embrace some good tidings. Your family members, especially your brother will be in good health and happy. You may attain some material goods. This period will strengthen you to the extent that even your opponents will not be able to face you or stand up against you. Your hard work will give you success. Transit of Mars, will prove to be very disadvantageous for you. This is not a good period for financial gain. You will be the victim of immense strain because of some family members. You may get involved in some argument that result from trivial talks. So please restrain control over your tongue to avoid any problem. You may have to depend upon people you generally disregard. Theft or loss in business will lead to financial crisis. Take care of your health. Through this transit, you will achieve a mixed bag of results. Do not get over excited or enthusiastic about any anticipated event because it is most like that you will not approve of the outcome. Be very careful during this period as you may be targeted by a minor ailment or accident. I would advise you not to take any risks or get involved in betting as these are not your days. Family problems will keep you distressed and at unrest. Owing to the transit of Mars to Gemini you may have to face a number of obstacles and predicaments. Your ego and obstinate attitude will also be responsible for your sorrow. Instead of handling situations wisely you make present your pride that will further complicate situations for you. A friend who is there by your side, when you desperately require them, is a true friend and you have got plenty of them. You will gain from your valuable friends and supporters. Your desires will finally come true. You may have to go on a travel. Don’t hesitate as it will prove lucrative. Your financial condition will be soaring high. You will spend quite a bit on luxurious items and on entertainment. You will be blessed with a happy family atmosphere. You will get benefit from trading. The benefit also seems to be coming from public or government sector. You will be in good terms holding higher positions, which will benefit you. Business will also expand soon. You will have enough confidence to handle the adverse situations. Enemies will not be able to hurt you. You will get support from the elder people around. Long distance journeys will prove to be successful. Income will rise and new resources will arrive. Expenditures will also increase, but they won’t go beyond your income. Chances of income through betting are also expected. Try to utilize the best of this wonderful time. This time is not at all good. So, beware! There are good chances of financial losses. Don’t take any risk in this time and avoid betting. Troubles may arise due to health. Relations in family seem to be on stake. You may get some bad news. You may have to face troubles in daily routine works. Rivals will put try to ruin your reputation. A dispute with supporters as well as partners is also expected. Family life will also suffer. Take care of your health. Journeys will give you disappointments. You may stay stressed due to the health of your partner. During this time, your life will go through a hard time. You will stay quite happy during this time period. Situations at work will improve. Immense profit is expected. Family environment will also be happy. You will desire to eliminate all the barriers and difficulties of your life. You need to stay alert while driving. You need to stay alert because you may not be able to take right decisions. Troubles may sprout up because of the health as well as family members. Avoid betting. You may also have to do some expenditure that will come with the reasons beyond your understanding. You will get disappointed from friends and relatives. Journeys will exhaust you. During this period of time, you will suffer from mental strains. 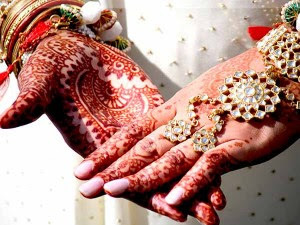 You will stay deprived of happiness, immovable property, bliss of vehicle and relations with friends as well as women. This time is not good financially. Hence, the expenditure will also be high. You may also have to spend for some hidden activities. A sudden loss is also expected. Nature’s fury has hit the beautiful mountains of Uttarakhand and has left each one of us terrified. It seems like faith of people is under attack. People who have come out alive from the dreadful experience do wish to go back to the mountains ever. However, they do feel thankful to God for giving them another chance to live. All the astrologers including myself are curious to know the Astrological reasoning for these events. Though I do not believe in predicting after the event yet I cannot ignore the curiosity of Astrologers. Uttarakhand, previously known as Uttaranchal was formed on 9th November 2000. From 2000 to 2006 it was called Uttaranchal and after that it was changed to Uttarakhand. It was done to respect the religious sentiments of the locals. Also, the state was referred to as Uttarakhand in religious texts and scriptures. The literal meaning of Uttarakhand is the Northern part of a region. The Holy rivers like Ganga and Yamuna originate in the hill state. The banks of Gangotri and Yamunotri have many sacred places which serve as famous pilgrimages. The day on which the state was formed, the Moon was in Pisces; therefore the sign of the state will be considered as Pisces. The day had Revati Constellation, which indicates a Mool Sangyak constellation. It is the constellation of Mercury which is posited in the 8th House of Kundli. The 8th house indicates both the positive and negative aspects of water. In this way, the watery planet Moon is related to the 8th House. Also, the Lord of the sign is Jupiter, which is in constellation of Moon. At the same time, Pisces is considered to be the sign of water. So, the relation between the Uttarakhand and water is obvious. There are other facts also which show the relation between the Moon and water. 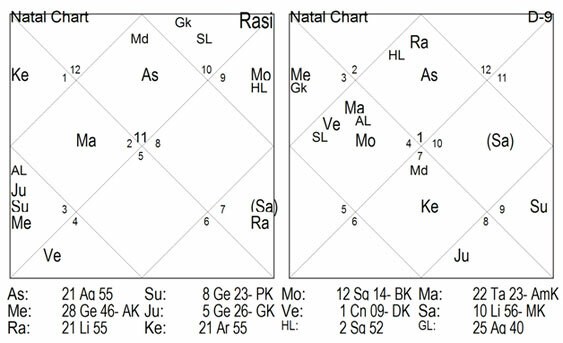 As you can see in the chart that the Lord of the 4th house is Mercury is also posited in the 8th house. It is in the constellation of Mars and sub-constellation of Moon. 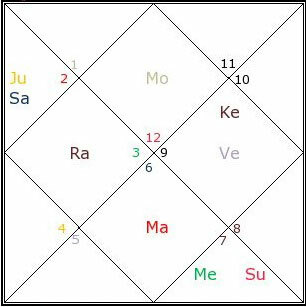 Posited in the 4th house, Rahu (Ascending Lunar Node) is in the constellation of Jupiter and Jupiter is in the constellation of Moon. The 6th, 8th and 12th houses in a Kundali creates challenging situations. The Lord of the 6th house, Sun is in the constellation of the Jupiter and Jupiter is in the constellation of Moon. Also, Sun is in the sign of Venus, which is a watery planet. Venus is in the constellation of Jupiter and Jupiter is in the constellation of Moon. At the times of these devastation it is very common to the see Ascendant and Ascendant Lord afflicted by aturn and Mars. At the same time, Sun is also afflicted in some or the other way. 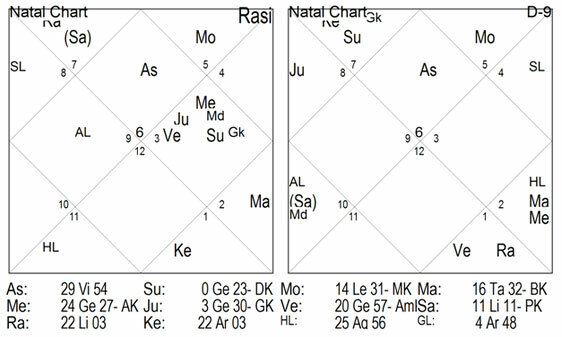 As we can see in the Kundli that the ascendant Lord, Jupiter is with the Saturn and ascendant is being aspected by Mars. Sun is in 8th house and is debilitated. All these conditions are indicating that the place might suffer from recurrent natural calamities. 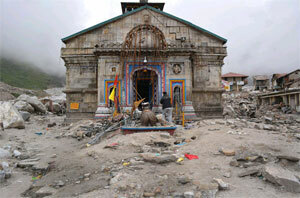 And, like we all are well aware that before this Uttarkashi saw such devastation in the year 2012. When will the hill state see such devastation? When Ascendant, Lord of Ascendant and Sun will be related to either Saturn or Mars. And, if Rahu also comes into the picture then the magnitude of the calamity will increase manifold. Let us now see the day on which the calamity struck the state for the first time. As you can see that, on that day, 4 planets were posited in the 4th house. Ascendant was not being aspected by any exalted planet. Ascendant Lord was combusted. Lord of the 9th house (representing religion and fate) Mars is combusted. Ascendant Lord was affected by Rahu (Ascending Lunar Node); and therefore it will also be affected by Saturn which is sitting with Rahu (Ascending Lunar Node). 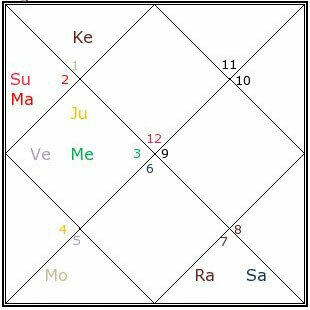 Hence, not only the ascendant Lord, Jupiter, but also the Lord of 4th house Mercury along with Sun and Venus are also afflicted by Saturn and Rahu (Ascending Lunar Node). 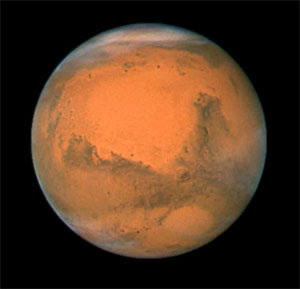 Sun is in the constellation of Mars. Jupiter is also in the constellation of Mars. In this way, we see that ascendant, Lord of ascendant and Sun have an effect of Mars, Saturn and Rahu (Ascending Lunar Node). And, this is the time when Mars is in the constellation of significator of water, Moon. Conjunction of Venus and Jupiter also indicate that there is some calamity which is round the corner in a religious event. On that day, Moon was aspected by Mars, the sign of Sun. All these conditions are indicating that there is an impending calamity. Though it is ironic that we are discussing all these astrological aspects after the calamity yet it is necessary. We should discuss every aspect of this natural disaster to ensure that such events do not happen in the future. We pray for all the people who have been hit by nature’s fury. The Final ODI match of ICC Champions Trophy will be played on 23rd June, 2013 at Edgbaston, Birmingham. Finally the match that all were waiting for is about to be played. The competing teams who have battled their way to the end of the competition are India and England. India has been the unerring team of the tournament and England on the other hand has been performing exceptionally well. This is the moment when both the teams will play for the coveted trophy and to have their nation exalted and jotted down in history. This year’s ICC Champions Trophy is the final one. So which team will be able to engrave their name forever in the tournament? Both the teams have been working hard and stand confident. The anticipation of the result is unbearable; so let us see which team's star will favor who and to what extent through Numerology. We will use Pythagorean method of Numerology to make the predictions. This match will be played on 23rd June, 2013. Moolank of this date is 5. As per Numerology, India's Namank is 1. 5 and 1 share a cordial relationship. This is a positive indication for the team. Mahendra Singh Dhoni is leading the team as Captain and his Namank is 9. 5 and 9 share a neutral relationship and this is neither a negative nor a positive sign for the team. This match will be played on the 23rd of June, 2013 and the Moolank of this date is 5. As per Numerology, England has Namank 3. 5 and 3 share a neutral relationship. This is neither a positive nor a negative indication for the team. The team's Captain is Alastair Cook and his Namank is 8. 5 and 8 also share a neutral relationship. This is again neither an auspicious sign nor a negative one for the team. If we analyze on the basis of Moolank then team India appears to be the winner. But this cannot be considered as the final result. We will now analyze the Sampoornank of the date, to draw a final conclusion. This match will be played on 23rd June, 2013. Moolank of 23+06+2013, which we will call Sampoornank here is 8. According to Numerology, India's Namank is 1. 8 and 1 share a hostile relationship, hence this is an inauspicious indication for the team. Mahendra Singh Dhoni, who is the Captain of the team, has Namank 9. 8 and 9 also share hostile relationship. According to the Numerology, Namank of England is 3. Since this match will be played on 23rd June, 2013, Sampoornank of this date is 8. 8 and 3 share a neutral relationship. This is neither a positive sign nor a negative sign. Alastair Cook is the team's Captain and his Namank is 8. 8 and 8 share a cordial relationship and this is a positive sign for the team. Thus, we can see that on the basis of Sampoornank, team England appears to be favored. There will be a tough competition between the teams as on the basis of Moolank India has an upper hand and on the basis of Sampoornank, England will be the winner. Yet I have to give one answer. After going into the depth of the calculations, I conclude that team England will emerge victorious and finally acquire the coveted trophy. Rest is all in God's hand. But bear in mind, these are mere possibilities. Any action or risk taken on the basis of these possibilities is not advisable. The consequences of it will be borne by the risk taker. The resultant remaining after calculation is 1 and so India should win. It is very tough choice as both teams are equally competent with batting and bowling. Stars are also equally confusing, so are the numbers. This is the last ICC Champions Trophy and the team with the cup in their arms will go in history forever.
. We will use Pythagorean method of Numerology to make the predictions. This match will be played on 20th June, 2013. Moolank of this date is 2. As per Numerology, India's Namank is 1. 2 and 1 share a cordial relationship. This is a positive indication for the team. Mahendra Singh Dhoni is leading the team as Captain and his Namank is 3. 2 and 3 share a neutral relationship and this is neither a negative nor a positive sign for the team. This match will be played on the 20th of June, 2013 and the Moolank of this date is 2. As per Numerology, Sri Lanka has Namank 9. 2 and 9 share a neutral relationship. This is neither a positive nor a negative indication for the team. The team's Captain is Angelo Mathews and his Namank is 8. 2 and 8 also share a neutral relationship. This is again neither an auspicious sign nor a negative one for the team. This match will be played on 20th June, 2013. Moolank of 20+06+2013, which we will call Sampoornank here is 5. According to Numerology, India's Namank is 1. 5 and 1 share a cordial relationship, hence this is an auspicious indication for the team. Mahendra Singh Dhoni, who is the Captain of the team, has Namank 3. 5 and 3 share a neutral relationship and this is neither negative nor positive for the team. 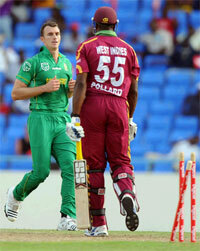 According to the Numerology, Namank of West Indies is 9. Since this match will be played on 20th June, 2013, Sampoornank of this date is 5. 5 and 9 share a neutral relationship. This is neither a positive sign nor a negative sign. Angelo Mathews is the team's Captain and his Namank is 8. 5 and 8 share a neutral relationship and this is neither negative nor positive for the team. Thus, we can see that even on the basis of Sampoornank, team India appears to be favored by the stars. So, I may conclude that India will emerge victorious in this match and head toward the finals. Rest is all in God's hand. But bear in mind, these are mere possibilities. Any action or risk taken on the basis of these possibilities is not advisable. The consequences of it will be borne by the risk taker. The 1st Semi Final ODI match of ICC Champions Trophy will be played on 19th June, 2013 at Kennington Oval, London. This match will be played between England and South Africa. Team England, as we have witnessed in the previous matches, appears to be a strong contender. It has never been a champion at this tournament, but had reached the finals once. South Africa, on the other hand has reached this stage owing to its superior net run-rate. This team had won the first ODI Trophy, but ever since it has not been performing well and is infamous for its inefficiency on important matches. This match is going to be more thrilling than ever before. So, let us see which team's stars will favor who and to what extent through Numerology. We will use Pythagorean method of Numerology to make the predictions. This match will be played on the 19th of June, 2013 and the Moolank of this date is 1. As per Numerology, South Africa has Namank 4. 1 and 4 share hostile relationship. This is a negative indication for the team. The team's Captain is Ab de Villiers and his Namank is 1. 1 and 1 share a cordial relationship. This is a positive sign for the team. If we analyze on the basis of Moolank then both the teams appear to be on the same plane. But, this cannot be considered as the final result. We will now analyze the Sampoornank of the date, to draw a final conclusion. According to the Numerology, Namank of South Africa is 4. Since this match will be played on 19th June, 2013, Sampoornank of this date is 4. 4 and 4 share a friendly relationship. This is a positive sign for the team. Ab de Villiers is the team's Captain and his Namank is 1. 4 and 1share a hostile relationship, which is a negative indication for the team. This match will be played on 19th June, 2013. Moolank of 19+06+2013, which we will call Sampoornank here is 4. According to Numerology, England's Namank is 3. 4 and 3 share a neutral relationship; hence this is neither an inauspicious nor an auspicious indication for the team. Alastair Cook, who is the Captain of the team, has Namank 8. 4 and 8 also share a cordial relationship and this is positive for the team. In this manner, if we were to analyze on the basis of Sampoornank then team England has an upper hand. Thus I conclude that England will emerge victorious in this match and march toward the finals. Rest is all in God's hand. But bear in mind, these are mere possibilities. Any action or risk taken on the basis of these possibilities is not advisable. The consequences of it will be borne by the risk taker. The twelfth match of ICC Champions Trophy will be played on 17th June, 2013 at Kennington Oval, London. The teams participating in this match are Australia and Sri Lanka. This is a do -or- die match for Australia to remain in the competition. Not only does it need to win the match, but it also requires good scores to grab a position in the semifinals. Sri Lanka on the other hand has won a match; hence if it does defeat Australia, it will have the coveted seat in the semifinal match. The inclement weather conditions prevail and so does the woes of Australia’s Captain. But let us see which team will the stars favour and to what extent. We will use Cheiro method of Numerology to make the predictions. This match will be played on 17th June, 2013. Moolank of this date is 8. As per Numerology, Sri Lanka's Namank is 9. 8 and 9 share a hostile relationship. This is a negative indication for the team. Angelo Mathews is leading the team as a Captain and his Namank is 7. 8 and 7 also share a hostile relationship and this is a very inauspicious sign for the team. If we analyse on the basis of Moolank then Australia has a major chance to win this match. But this cannot be considered as the final result. We will now analyse the Sampoornank of the date, to draw a final conclusion. According to Numerology, Namank of Australia is 4. Since this match will be played on 17th June, 2013, ampoornank of this date is 2. 2 and 4 share an inimical relationship. This is a negative sign. George Bailey is the team's standing Captain and his Namank is 2. 2 and 2 share cordial relationship and this will be beneficial for the team. This match will be played on 17th June, 2013 so the Sampoornank of the date is 2. According to Astrology, Sri Lanka's Namank is 9. 2 and 9 share a neutral relationship; hence this is neither negative nor positive for the team. Angelo Mathews, who is the Captain of the team, has Namank 7. 2 and 7 share a hostile relationship and this is negative for the team. In this manner, we can see that even on the basis of Sampoornank, Australia appears to have the upper hand. Hence we can conclude that team Australia will emerge victorious in this match. Rest is all in God's hand. But bear in mind, these are mere possibilities. Any action or risk taken on the basis of these possibilities is not advisable. The consequences of it will be borne by the risk taker. The resultant remaining after calculation is 1 and so England should win. It is very tough choice as both teams are equally competent with batting and bowling. Stars are also equally confusing, so are the numbers. This is the last ICC Champions Trophy and the team with the cup in their arms will go in history forever. Winner: ENGLAND WILL WIN THIS HIGH SCORING MATCH!
. We will use Cheiro method of Numerology to make the predictions. This match will be played on 16th June, 2013. Moolank of this date is 7. As per Numerology, England's Namank is 8. 7 and 8 share a hostile relationship. This is a negative indication for the team. Alastair Cook is leading the team as Captain and his Namank is 8. 7 and 8 shares also share a hostile relationship and this is again a negative sign for the team. This match will be played on the 16th of June, 2013 and the Moolank of this date is 7. As per Numerology, New Zealand has Namank 7. 7 and 7 share cordial relationship. This is a positive indication for the team. The team's Captain is Brendon McCullum and his Namank is 4. 7 and 4 share a hostile relationship. This is a negative sign for the team. If we analyze on the basis of Moolank then New Zealand’s position is very auspicious. But, this cannot be considered as the final result. We will now analyze the Sampoornank of the date, to draw a final conclusion. This match will be played on 16th June, 2013. Moolank of 16+06+2013, which we will call Sampoornank here is 1. According to Numerology, England's Namank is 8. 1 and 8 share an inimical relationship; hence this is an inauspicious indication for the team. Alastair Cook, who is the Captain of the team, has Namank 8. 1 and 8 also share an unfriendly relationship and this is negative for the team. According to the Numerology, Namank of New Zealand is 6. Since this match will be played on 16th June, 2013, Sampoornank of this date is 1. 1 and 6 share a hostile relationship. This is a negative sign for the team. Brandon McCullum is the team's Captain and his Namank is 4. 1 and 4 also share a hostile relationship, which is a negative indication for the team. In this manner, if we were to analyze on the basis of Sampoornank then both the teams stand on the same platform. But as per Moolank, New Zealand has an upper hand. Thus we can conclude that New Zealand will emerge victorious in this match. Rest is all in God's hand. But bear in mind, these are mere possibilities. Any action or risk taken on the basis of these possibilities is not advisable. The consequences of it will be borne by the risk taker. It means that Trine (Trikona) is the place of Lakshmi and Quadrant (Kendra) belongs to Vishnu. The combination of these makes a man successful in all directions. Hence, the first objective of work is to earn wealth. Since ages, the worldly beings have desired for more and more wealth. 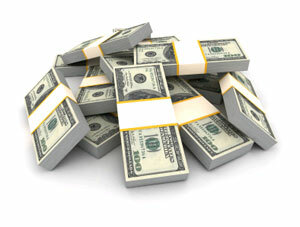 There could hardly be any person satisfied with personal financial condition. Especially, in this age, desires of luxuries have become endless. But, it is very important to know that which planetary condition is best suited to the native for earning abundant wealth. Lord of the second house, second house as well as Quadrant; if they all lie in Trine, the wealth increases. On the contrary, if they lie in the 6th, 8th and 12th house, the native becomes incapable of making wealth. Additionally, if they lie in the afflicted houses, it leads to the loss of savings too. If Lord of the second house is posited in eleventh house and eleventh Lord in second house, the native gets abundance of wealth. If Lord of the second as well as eleventh house is situated in Quadrant and Trine, the native becomes very rich. If Lord of the eleventh house is placed in the eleventh house or Quadrant and Trine or exalted sign, gives immense prosperity. 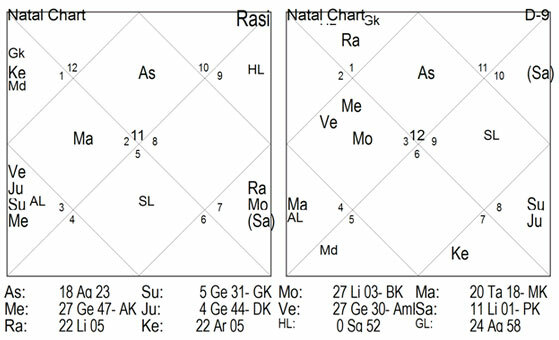 If Lord of the eleventh house is posited in second house and Lord of second house is in Quadrant with Jupiter, native earns the required money. Lord of the eleventh house along with positive planets posited in the Quadrant or Trine blesses the native with abundance of money at the age of 40. Jupiter in the eleventh house, Moon in the second house and Venus in the ninth house, makes the native royal. If second house, eleventh house and ascendant gets conjoined with its Lord, the native becomes prosperous. If Lords of the second and eleventh house are posited in the own sign, friendly sign or exalted sign in the eleventh house; it gives abundant prosperity to the native. If Lords of the second and eleventh house are posited in ascendant and are friendly with each other, gives abundant wealth to the native. If Lord of the ascendant is posited in the ascendant with second house Lord, the native becomes very rich. If Lord of the ascendant is posited in the second house, the native becomes rich. Lord of the second house in ascendant and Lord of the ascendant in second house makes the native capable of earning by putting in effort. Lord of the second house in eleventh house and Lord of the eleventh house in second house or Quadrant gives the native abundance of wealth. If Lord of the ascendant is in second house, Lord of the second house in eleventh house or Lord of the eleventh house in ascendant, the native will be immensely rich. If Lords of the ascendant, eleventh house and ninth house come in extreme exaltation point, the native becomes millionaire. The fully powerful planet in eleventh house gives prosperity. If Lord of the eleventh house is posited in Quadrant & Trine and a fully malefic planet is posited in the eleventh house, the native receives abundance of money. ‘A fully malefic planet is posited in the eleventh house, the native receives the abundance of money.’ – In this context, from my experience, planets Sun, Mars and Rahu make the native richer. On the contrary, Saturn and Ketu give adverse effects. Rahu in eleventh house brings money through unethical ways. However, in any case the ownership of house is considered to be more effective at that time. Sun, Mars or any other planet – if posited in the second house being the Lord of the twelfth house, will lead to monetary loss instead of profits. 30 Dreams That Will Make You Rich!